I have two thoughts about Vice President Joe Biden’s debate performance, and then a closing thought on who I think won the first and only vice presidential debate. First, Biden didn’t do himself or President Obama any favors with the pearly whites. I think he smiled in both amusement and disgust way too often, especially early in the debate. Obviously this is a knock on style, but as I’ve said in past articles, style usually defines these debates. I think this was an absolutely brilliant response, and I’ve never heard it framed like this. 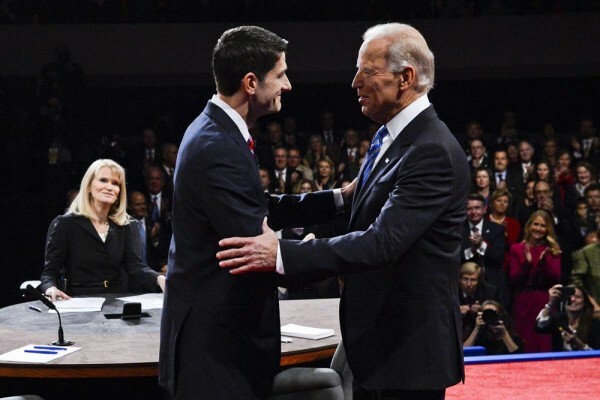 Biden is correct, Ryan’s opposition on abortion and a woman’s right to choose is based on his religion. When it comes to government policy, Ryan will impose his religious beliefs, leading to a government that takes away a woman’s right to choose. It is not the place of government to tell a woman what she can do with her body, and it is forbidden by the constitution for government to endorse any religion. Therefore, the only position on abortion that is compatible with freedom, liberty (including religious freedom) is a pro-choice position. You can be against abortion personally, but that’s where it ends. You cannot impose your views on others. As for who won the debate, that is less clear to me. I have my own liberal bias that tells me Biden won this debate, but I also know how conservatives and moderates might view this debate. Therefore I think this debate was mostly a draw. I know MSNBC hosts think it was a clear win for Biden, and I’m sure Fox News hosts think it was a clear win for Ryan. But I don’t think there was a clear winner.